No boring, black cycling shorts for this TrailblazerGirl! Check out the OMNI (aka Multi-Sport) Short by our friends at Shredly. With 17 bold, colorful prints to choose from, there is no way anyone would describe you as boring! 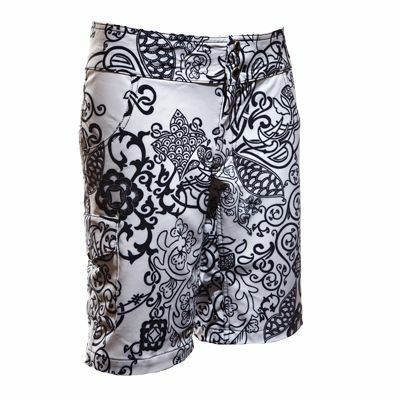 Though Shredly is well-known for their mountain bike inspired women’s threads, these shorts will be equally at home at the beach, on the hiking trails, and out and about town, as on the mountain bike trails. We like that they have a low-rise, comfortable fit, are slightly higher in the back (perfect for keeping your bum covered when you’re riding or bending down! ), have 3 pockets for storing essentials, and are made out of a quick-drying fabric with just a touch of stretch for easy movement. An all-around great pair of shorts for all you TrailblazerGirls!